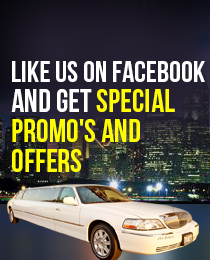 Enthrall yourself with a luxurious drive offered by ULC’s limousine and party bus service in Hacienda Heights. We have some specially arranged limos in Hacienda Heights, which take you for a royal drive around the suburban towns of Southern California. Enjoy the natural scenic beauty, along with a rich mix of activities in Hacienda Heights. Apart from such special tours, our limos and party buses in Hacienda Heights are known for their service for different occasions like wedding ceremonies, anniversaries, concerts, airport transportation, corporate travel, bachelor/bachelorette parties, school events, dinners, nights out, holidays, anniversaries, or any other special events. To suite your occasion, ULC’s Hacienda Heights limousine rental service offers a stylish fleet of new stretch limousines, SUV limos, luxury sedans, and party limo buses at highly competitive and reasonable prices. Our limo rental service in Hacienda Heights is very popular for prom service as well and takes pride in our distinctive and impeccable limo service. Which hacienda heights Limo is Right For You?